An oldie but a goodie...JessicaBe has been with us for years, but her stuff just keeps getting cuter! 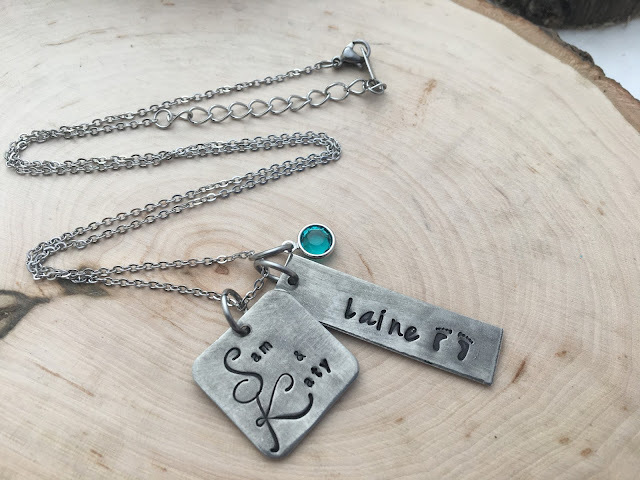 JessicaBe specializes in personalized Hand Stamped jewelry. She works with quality metals, including sterling silver, pewter, copper, and brass. At the Holiday House Boutique you will find a variety of her stamped necklaces, bracelets, and rings. Idaho Necklaces, Missionary Mom Necklaces, and Motivational jewelry will be among her pieces this spring.